The dregs of rounds bales of good hay for the cattle - anyone who keeps animals will know that they never eat all of the hay, but at least I can find a good use to anything that doesn't get eaten. Chicken feathers from when we butcher roosters - this is a recent experiment and is quite alarming at first when you walk into the garden and see feathers everywhere! 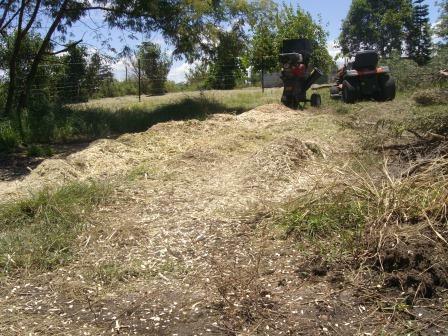 Wood chips - If we need to clear small sapplings, or trees branches, we usually chip them using a mulcher we bought on ebay. 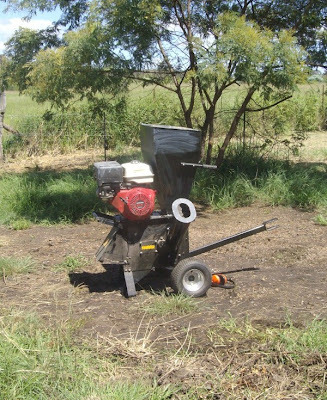 We bought the mulcher when we moved to Eight Acres and had hundreds of small wattle trees to cut down to grow better pasture for our cattle. With all the trees pushed over we didn’t want to light a huge fire and decided that mulching would be a better option. We bought a large, petrol-motor powered mulcher off ebay and waited impatiently for it to arrive (we always worry with ebay that it won't turn up at all!). This was an excellent supply of mulch while we were clearing the trees. 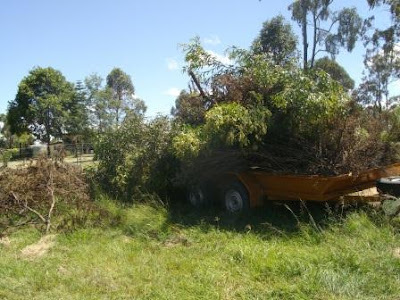 If you have the space, and plenty of trees, a mulcher is a great option for both keeping the block tidy and providing a nice supply of mulch. If you don't want to buy one, you could look at hiring one. Make sure its large enough to take big branches though, so you don't have to cut them as much. There's a car trailer under that pile of sapplings! I find that I have to spread mulch fairly regularly, every couple of months at least, as it breaks down and gets consumed by the worms and microbes in the soil. It does really help to have a bulk source of mulch available, I will often just fill a wheel barrow with hay or wood chips and spread them around the garden over a few days as I get the time. 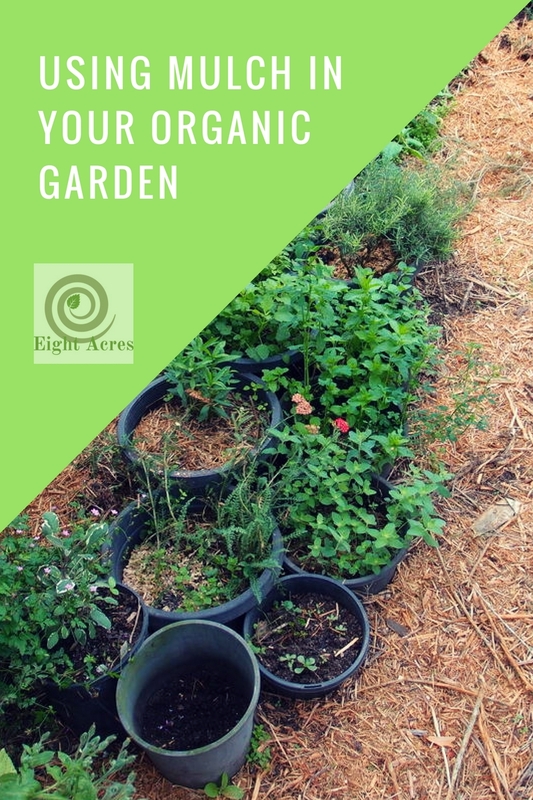 I find that seedlings will still come up through mulch, so while it does help to suppress weeds, you need to keep weeding and re-applying mulch, however, this also means that my self-seeded veges get a chance too. Do you use mulch? What kind do you use?